The safest way to suspend your pans! 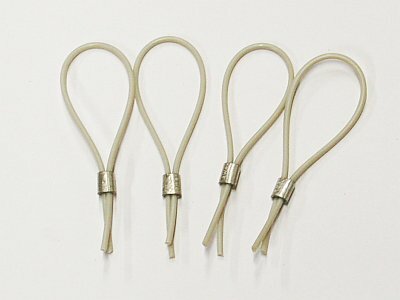 Our sturdy monofilament nylon and durable metal connectors are attractive, easy to install and are strong enough to suspend any size pan. Simply pass the nylon through the hole(s) in your drum and squeeze the connector with a pair of pliers.